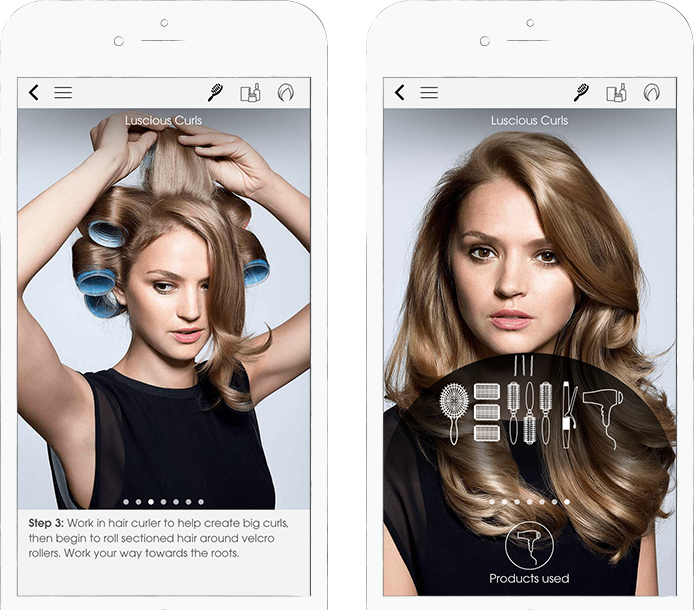 Find your favorite new hair style – using your smartphone! 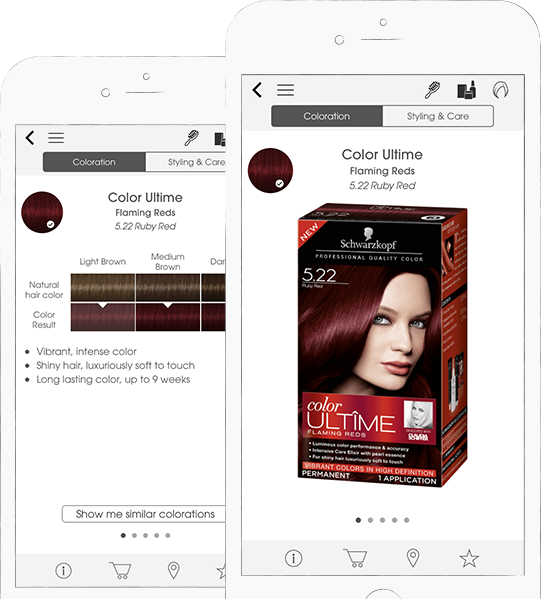 Released in 2016, the Schwarzkopf App was the fourth generation of the earlier „Color Advisor App“ but yet a completely new app. Using the Augmented Reality technology users were able to try out all included hair styles live via their camera view. 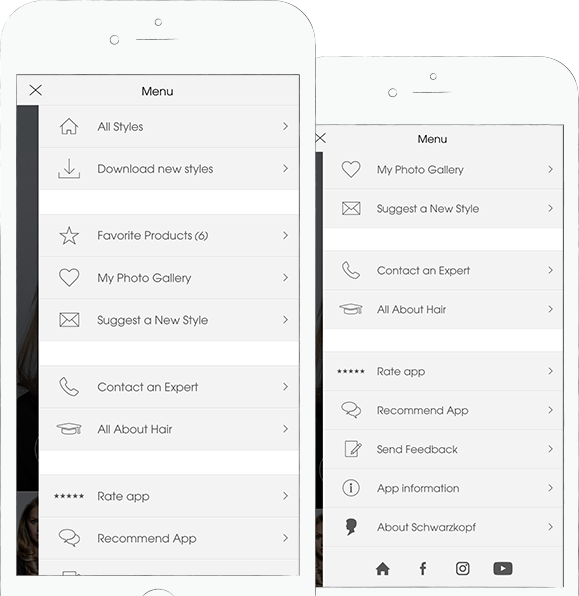 On top of that all styles could have been found in a tutorial section and all products needed could have been bought directly within the app. 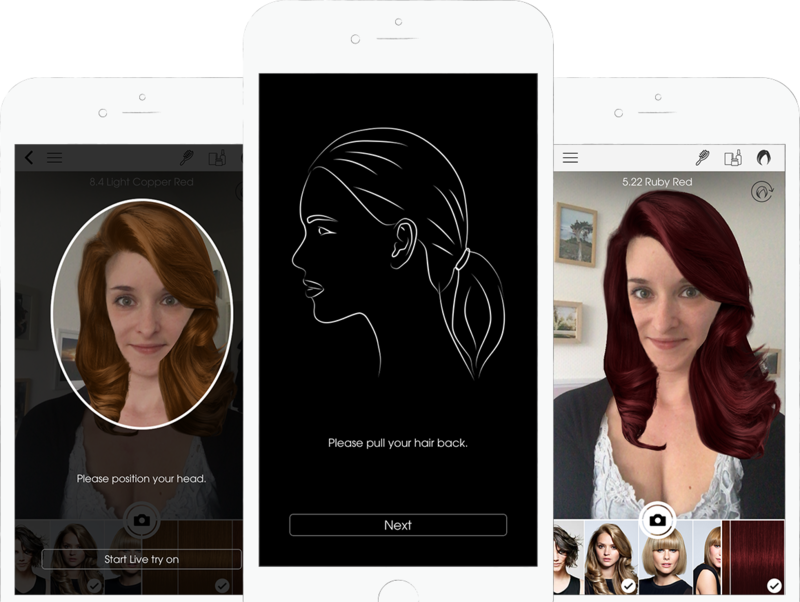 If users weren’t sure if any style shown in the app looks nice on them, the app gave them the great feature to try out all styles in a magic mirror, using the Augmented Reality technology. 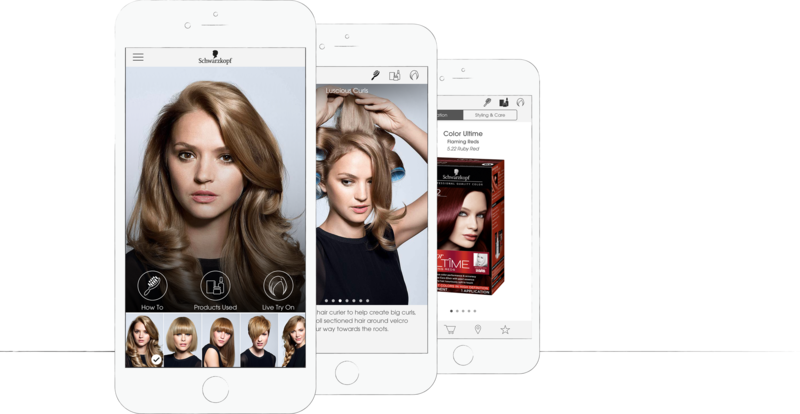 Furthermore, all styles could have been colored in any existing coloration of all Schwarzkopf brands and, of course, users were able to take pictures of themselves and save them or share with friends. By far the biggest and most demanding challenge in my entire work life until now. Actually I would think it must have been easy to develop this version, since I had been working on the designs of the previous two generations of the app already – but it wasn’t. With the Augmented Reality part as one of the biggest features we had to completely rethink the existing app concept and create a complete new app, which meant some really hard work and lots of hours of design matching with the customer. And I was very happy and proud about what we had created with this version. I liked the fact that arduous masking of the own hair was going to be replaced by the great possibility to not only try a color but also a new hair style even at one time live in your camera view. Furthermore, I loved the brand new, lightened look of the app and enjoyed the challenge of finding a place for all important features inside the small space left outside the camera view. On the whole, I had to learn and grow a lot to be able to make this project happen. Therefore, it was definitely one of the most stressful but yet interesting, challenging and claiming projects I’ve done so far and I loved being part of the team behind the app.